She is one ''Dark Soul''. 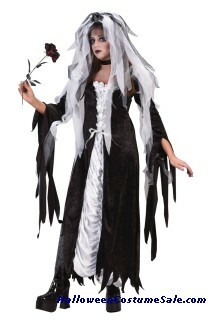 Includes: dress with coffin lining material inset, tie boddice and veil. Black roses not included. Buy these Related Items that go with the 'BRIDE OF DARKNESS COSTUME, TEEN' product.